The opera as an art form is not necessarily the most accessible, affordable, or accommodating. Despite being beautiful and culturally significant, these performances have for the most part remained out of arm's reach for the common consumer. The architectural wonders that house these performances are usually as far as most people get to seeing an opera and, as much as avid opera-goers would find this shameful, who can blame them? Operas are grand, lavish, ostentatious; it's only natural the theaters that house them follow suit. Central Europe in particular has a rich operatic history, from Mozart's roots in Vienna and Prague to the Primate's Palace in Bratislava's being converted into a prominent performance space. 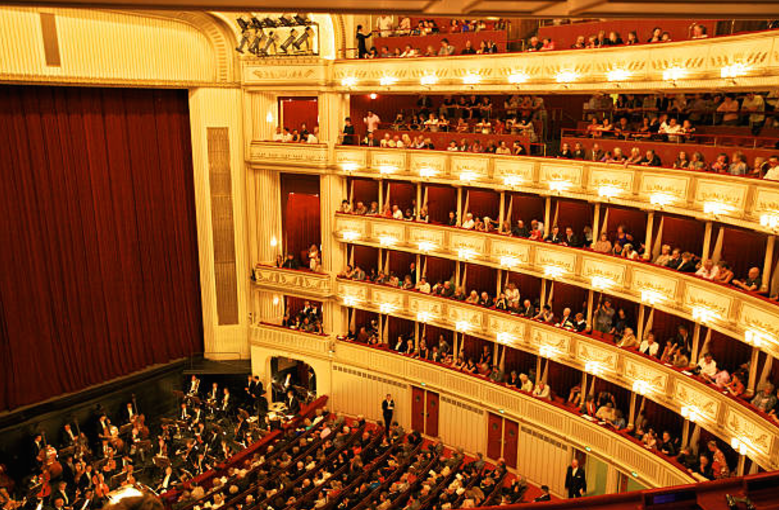 We've compiled a list of the must-see opera houses in Central Europe so you don't have to. 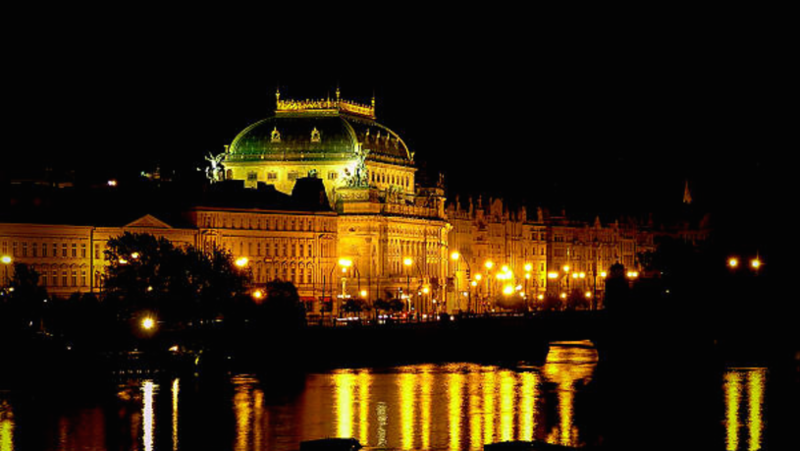 Next time you're meandering about the region, whether or not you're packing opera glasses in your travel bag, make sure to stop by any of these wonders of architecture, culture, and Central Europe's legacy of operatic excellence. This gorgeous neo-Renaissance opera house opened in 1884. Designed by important 19th century Hungarain architect Miklós Ybl, the opera house boasts decadent marble columns in its interior. 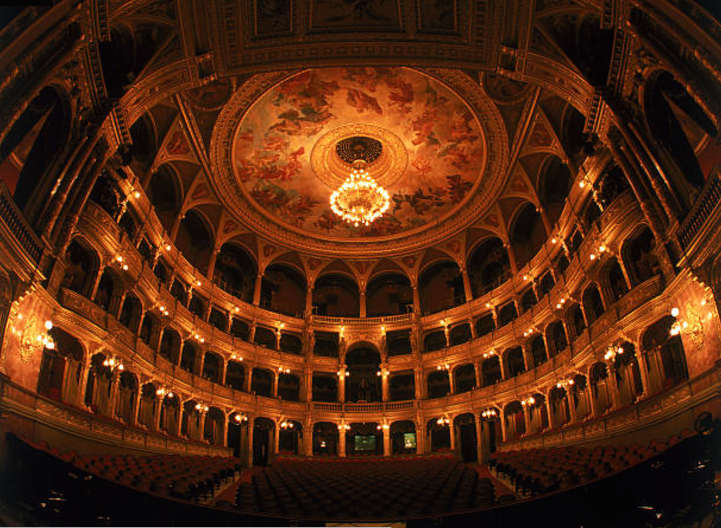 Besides being a major hot-spot for opera in the city, the venue also houses the Hungarian National Ballet. Despite only being the second-biggest opera house in Budapest, the regal beauty of this temple of the arts, and the excellence of the performances therein, has made its name known throughout the nation and the world as the best of the best. 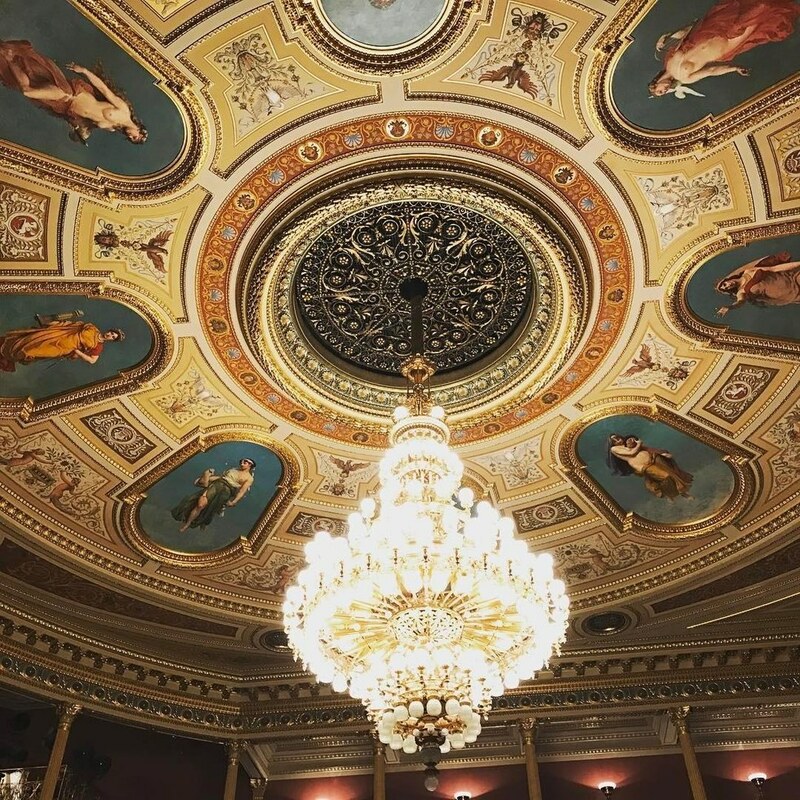 The first thing you'll notice when you step foot inside the Prague National Theatre (Národní divadlo, in Czech) is its ceiling. "Beautiful" is an understatement, and after three different bouts of reconstruction in its long history, the opera house is at its glittering, architectural pinnacle. The roof displays Baroque artwork that follows classic mythological tropes lined with gold finishes, framing the opera house's enormous chandelier. The outer part of the opera house, right on the bank of the river Vltava that cuts through Prague, only further adds to the mystique of the institution. The acoustics of the house are also unreal, and have hosted dramas, ballets, and operas alike. 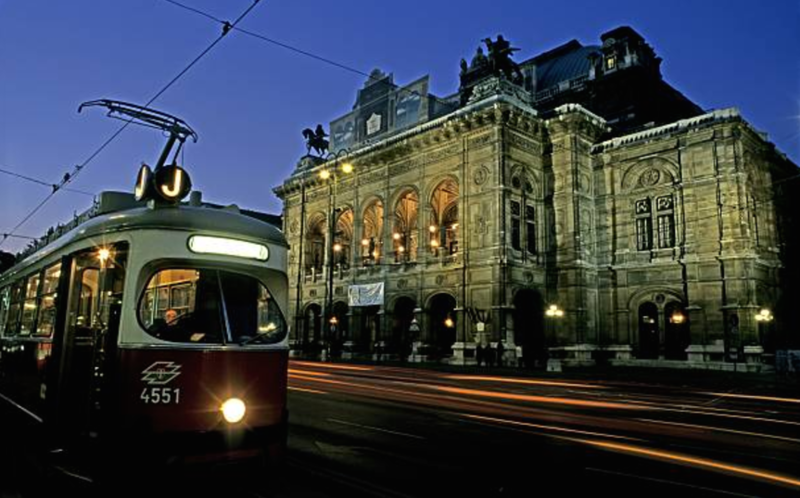 The Vienna State Opera was once the Vienna Court Opera, opening to the public upon the dissolution of the Hapsburg monarchy. This was most definitely for the best; the sprawling monster of a venue has achieved worldwide renown for having the largest repertoire of any opera house. Come and watch a show where the most glittering echelons of European royalty once came to the theatre, and relish in the fact that something so beautiful is now available to people from all walks of life. Perhaps the newest building on our list, the Slovak State Opera was inaugurated in 1920. However, the operatic history of Slovakia stretches for centuries, with operas being performed for hundreds of years before the establishment of a proper venue in 1886. This opera house, another neo-Renaissance gem, is in the heart of Bratislava's Old Town, and director Juraj Hrubant has kept the venue's reputation salient over the years by reinforcing the performance of tried true classics like "Don Quixote." It doesn't compare to the size and stature of the famous Primate's Palace nearby, but should be a must-see for anyone serious about Central European operatic tradition at its purest. One of the biggest draws of the Estates Theatre is the fact that Mozart's "Don Giovanni" was premiered here in 1787, commemorated by a statue of the imposing Commendatore placed near the entrance. The relatively compact theatre features a massive chandelier and is a part of the Národní divadlo complex, alternating its shows between the Prague National Theater and the Kolowrat Theatre. The more simplified, small-scale design of the theater does not diminish the power of its performances, allowing for a more intimate opera experience than one might usually get at a larger venue. The fact that it has so much history and is steps away from Prague's glistening Old Town Square only further adds to its charm.